John Bell, or should we say retired Wing Commander John Bell DFC, is shown seated in the K21 below. He’s a veteran from WW2 and served in the famous 617 squadron of Dambuster fame. He flew as a bomb-aimer in Lancaster bombers and, according to a 617 Sqn website blog, was in involved in raids on V2 rocket bases and the German battleshipView Post Tirpitz using the massive ‘Tallboy’ bomb. In total, he served 34 years in the RAF and it was huge pleasure and honour for us to fly him. 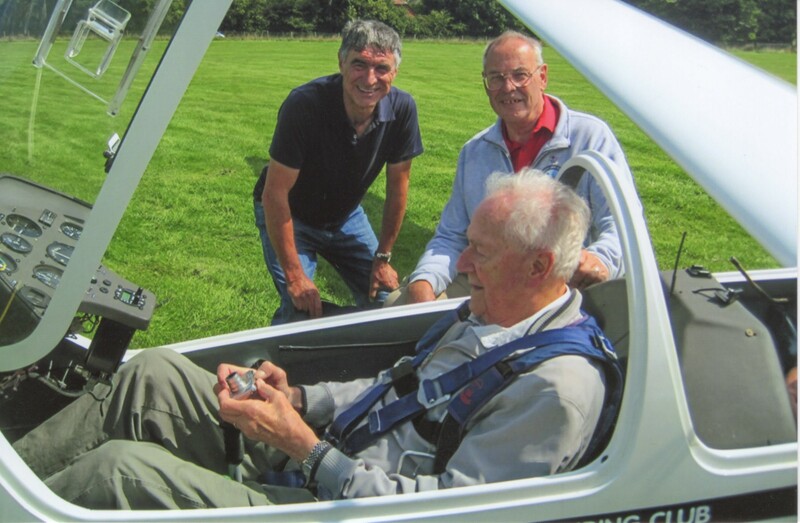 He is 94 and last flew in a glider when he was 24, 70 years ago. 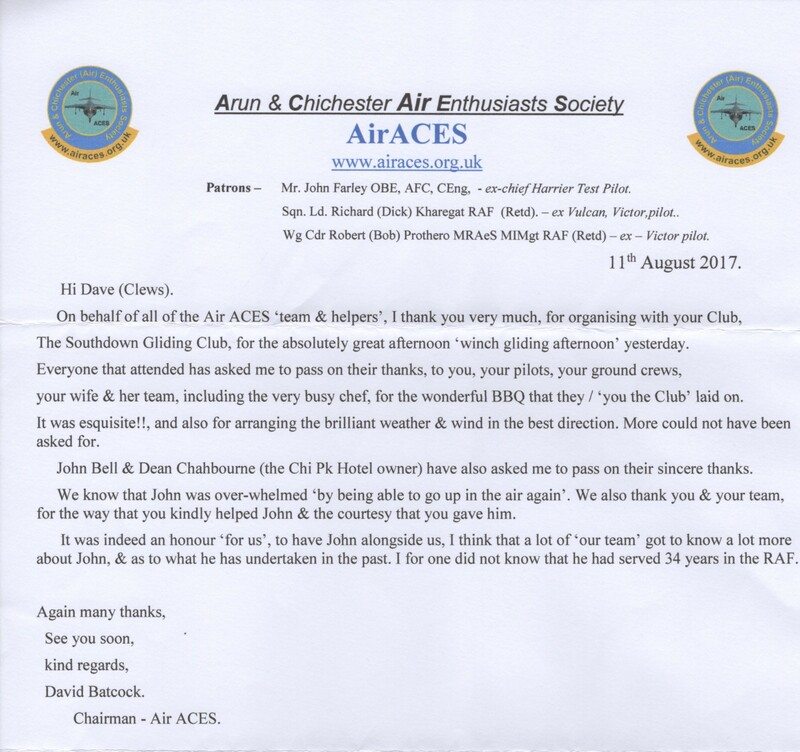 Ridge soaring at its best at Southdown Gliding Club! Great Ridge Day on Sunday!